Orlando's music scene continues to grow. 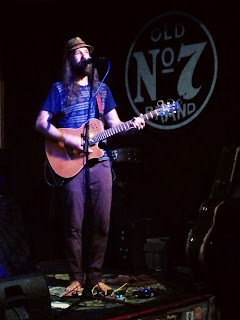 Though Orlando has no shortage of talented local musicians, I sometimes find it difficult to find in town shows by nationally touring artists that I love. However, Orlando is becoming more of a hot spot for many scenes (music, fashion, food), and ONElive Music is one booking agency that is determined to bring more national acts to the streets of O-Town. Tonight, funk lovers can catch Chicago's The Main Squeeze with Sweet Bea & The Boys at Backbooth at 8 p.m. Currently touring Florida, The Main Squeeze is like a natural energy shot packed with all the vitamins and minerals you need to get down. This band's live show never disappoints, thanks in part to the powerhouse vocals of Corey Frye. Tickets for tonight's show are $15 at the door. 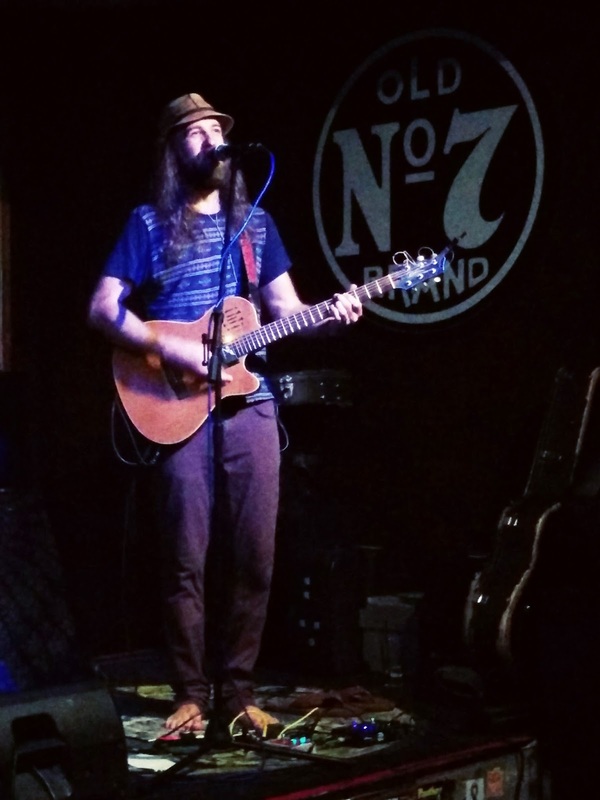 Last month, Dangermuffin out of Folly Beach, S.C., brought its rustic, laid-back vibe to Will's Pub for a night of soothing jams. First timers may have been fooled by the band's seemingly innocuous name and frontman Dan Lotti's bare feet, but they soon discovered that Dangermuffin packs some serious musical heat. I've been listening since around the release of Moonscapes in 2010, and Lotti is another of my favorite male vocalists (you just have to hear him to understand). The most recent album is Songs of the Universe, available here, and the band is currently touring the East Coast, with stops in South Carolina, North Carolina, Virginia, and more. Dangermuffin's show ended in an intimate acoustic session with Steven Sandifer on stand up bass. (Check out video from that moment below.) I wonder how tonight's show will end? 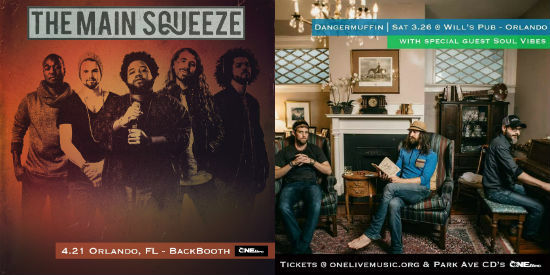 Follow ONElive Music on Facebook to get more information on shows like this in Central Florida.